We've received a number of complaints about COVE ingestion failures this morning. We wanted to let you all know the Merlin API is currently down. Our Products team is actively working to resolve this error and get things running again. 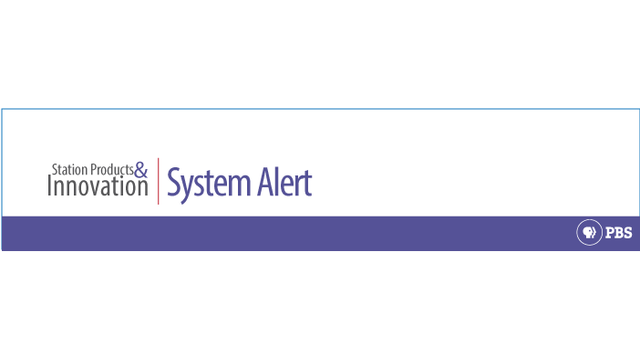 Although we do not have a timeline for the fix, you can monitor the PBS Service Status page for updates as more information becomes available (http://status.pbs.org/).